The Intercontinental Singapore Robertson Quay is a 226 key urban hotel situated in the historical Robertson Quay area along the Singapore River. It is a reconstruction of the original Gallery Hotel built in 1999. The façade is a brand new curtain wall punctuated by vertical sun screens and slight shifts in geometry, the Intercontinental Singapore Robertson Quay represents a homecoming of sorts, as SCDA’s first luxury hotel in Singapore. The clients have identified the increasing prominence of Robertson Quay as an F&B and lifestyle hub along the Singapore River. 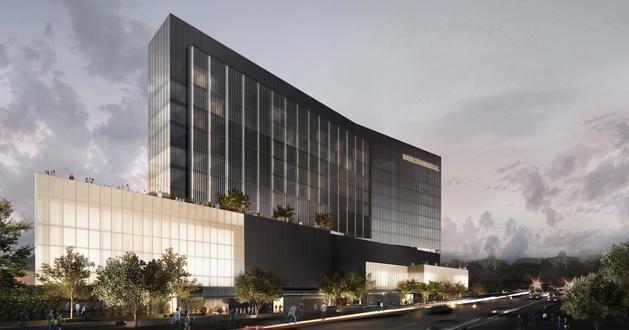 SCDA’s response is to cater to this growing F&B segment by introducing fresh F&B concepts and commercial spaces into the Hotel’s retail podium. By incorporating lush Outdoor Refreshment Areas around the perimeter of the hotel, this will serve to introduce more life onto both Nanson Road and Saiboo Street. These F&B and lifestyle concepts will also occupy new formats such as large outdoor terraces on every floor of the retail podium and a lush pool deck on the 4th storey sky terrace. Every terrace overlooking the Singapore River will afford generous views of the CBD skyline beyond. We will also be revamping all existing Hotel common areas and guestrooms in line with the client’s goal to cater to today’s ever discerning traveller. 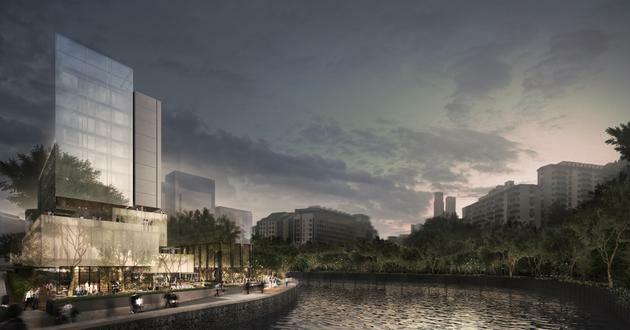 This proposed redevelopment also involves revamping the Singapore River Promenade along Robertson Quay, with the introduction of a face-lifted Quayside retail podium fronted by a tree-lined and lushly landscaped pedestrianized promenade that is envisioned to complement timber decked platforms of Outdoor Refreshment Areas, offering a vibrant riverfront precinct; encouraging various forms of activities and interactions for passer-bys traversing on the promenade. This proposal is in line with URA’s planning objective of enlivening the riverfront as a public space, with provisions to enhance the visitors’ experience and public access along Singapore River.